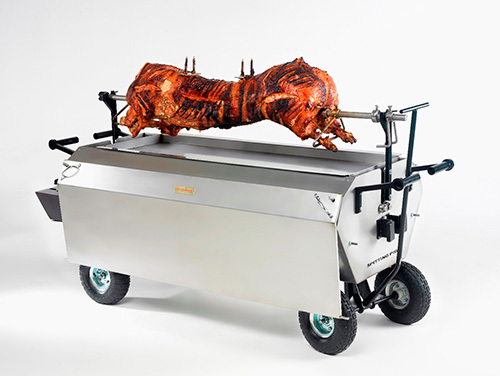 If you’re considering a DIY hog roast at your London event, why not consider the addition of our brilliant chicken spit kit? You can completely transform your hog roaster and offer something else a little different – perfectly roast chicken with juicy skin. 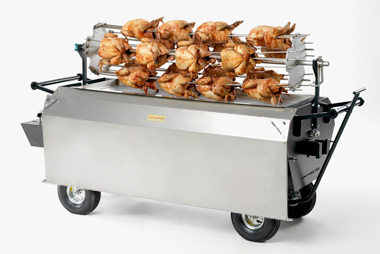 This brilliant accessory makes a nice extra to both our purchase and rental machines, it features a dramatic 5 arm rotisseries that can hold a total of 36 chickens at a time! That’s a whole lot of hen to delight your guests. The chicken spit kit uses a traditional spit pole (with our spit pole kit) and 240v motor. 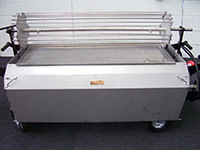 It is for use with our Platinum range and can be viewed in use using the Platinum viewing window. 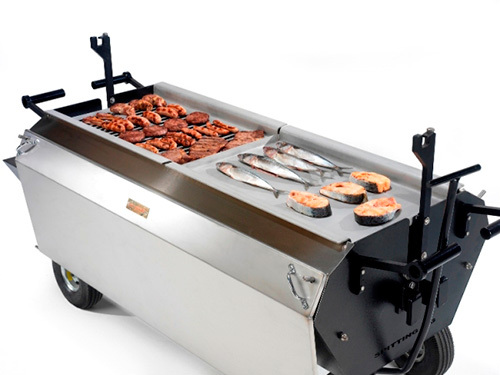 Don’t be surprised if your event attendees want to come up close and take a look too. When it comes to be time for serving, use the two support bars on our roaster and lift up the rotisseries. Get ready for the incredible smells. 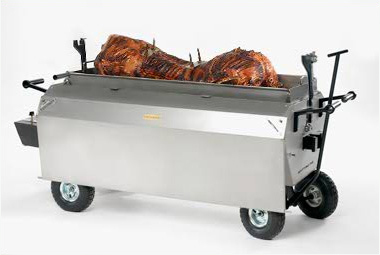 Each arm of the kit can be removed separately for easy access to the finished product without losing the visual drama of the whole rotisserie. Carve into the hot plate tray below, where your cuttings are kept warm until it’s time to dish up.